AMD’s upcoming Titan equivalent flagship Radeon graphics card is rumored to be dubbed “Fury”. R9 390X to be based on enhanced Hawaii. 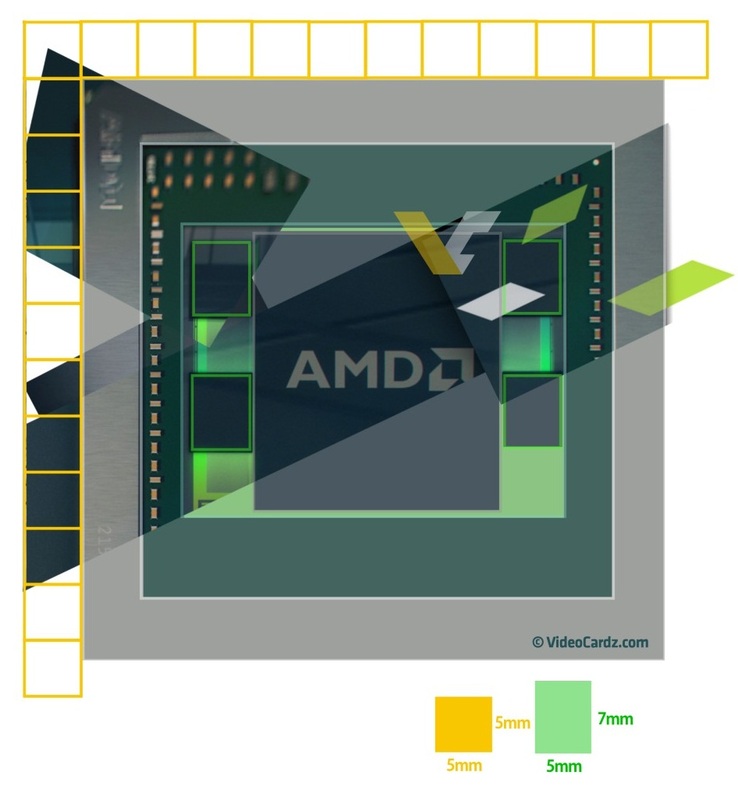 We had previously pointed out that AMD’s 300 series naming structure would simply not allow for a 300 series Fiji based graphics card to exist. This is because AMD’s Tonga GPU ended up as the R9 380 and an “enhanced” version of Hawaii has been confirmed to be featured in the R9 390 series. This simply leaves no room for Fiji. Following that we heard that AMD was actually going to position Fiji as a Titan equivalent in terms of branding. Thus it will end up with a unique name that doesn’t follow the company’s conventional three digit based naming structure. Today we’re hearing that this name is actually “Fury”, although note the rumor tag as we can’t confirm this just yet. So the graphics card that you see above and which has been teased by Joahnn Andersson on twitter is what is now rumored to be called Fury. Fury isn’t actually an entirely new name. 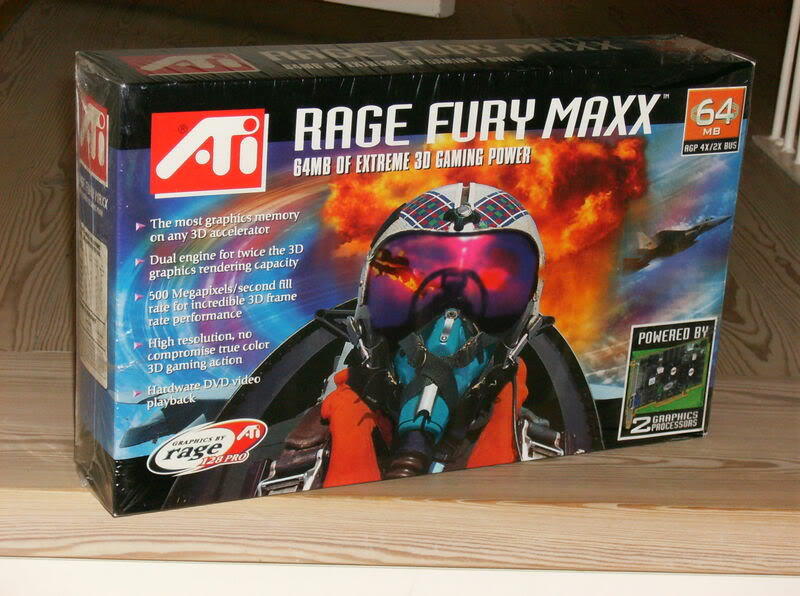 In fact the brand was used a very long time ago by ATi in the Rage era before the debut of the Radeon brand. AMD took over all of ATi’s assets when it acquired the company back in 2008, including its brands. So it’s not implausible to see AMD bring some of these old names back. 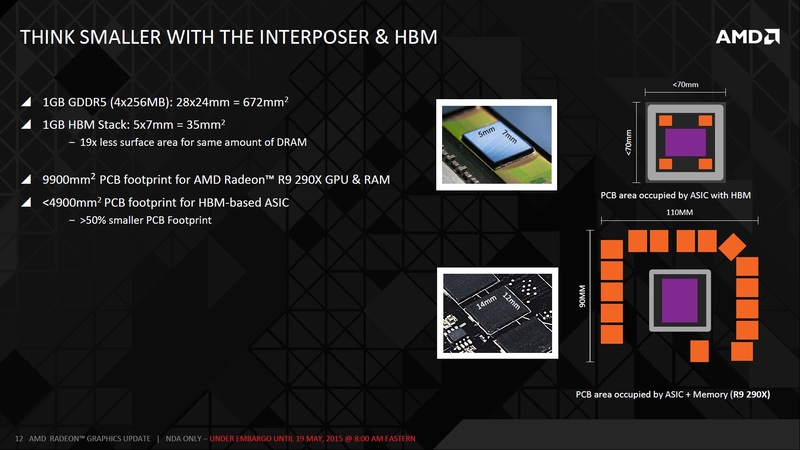 AMD’s upcoming flagship GPU Fiji, which is going to be the first in the world to feature the next generation stacked memory technology dubbed HBM, is evidently going to be the GPU that AMD will use to debut its new flagship branding scheme. The R9 390X and R9 390 however will get updated versions of Hawaii with faster clock speeds and faster memory sub-systems as well. Thus the 390X will not be the flagship from the red team, instead AMD will debut its flagship chip Fiji under the name “Fury”. Let’s briefly revisit Fiji’s new secret weapon, HBM. Apart from the bandwidth boost and power savings HBM also offers an additional benefit and that is size. Because High Bandwidth Memory is vertically stacked, it offers much greater densities per mm². So there are immense area savings on the DRAM chips themselves and the printed circuit board as well. Enabling far more compact form factors than before as is evident by the photo of the Fiji board that was teased on twitter. The reconstruction ofthe Fiji die also reveals a similar story. In our technical deep dive on Fiji we were able to draw a rough estimate of the Fiji’s performance based on the core count and the GPU clock speed. But as we can’t yet quantify the performance benefit from HBM without rigorous testing we left it out of the equation. Even without putting HBM into the equation the estimated performance of Fiji XT is quite phenomenal. 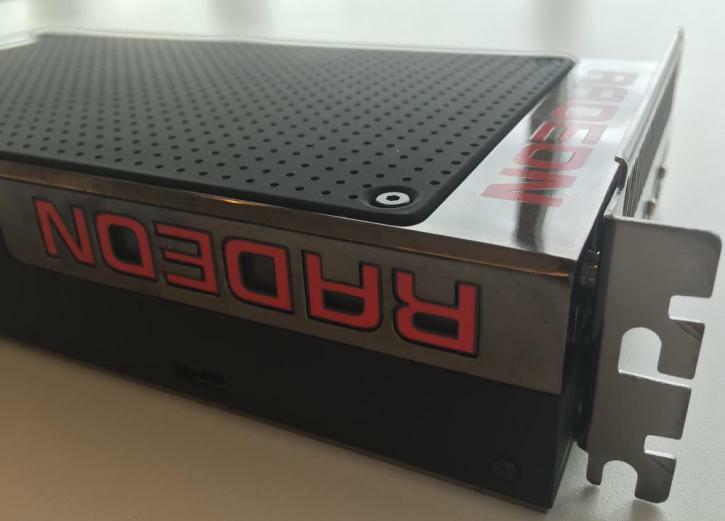 The AMD Radeon 300 series is set to be released worldwide on June 18th, with the Fiji based flagship “Fury” following up on June 24th.